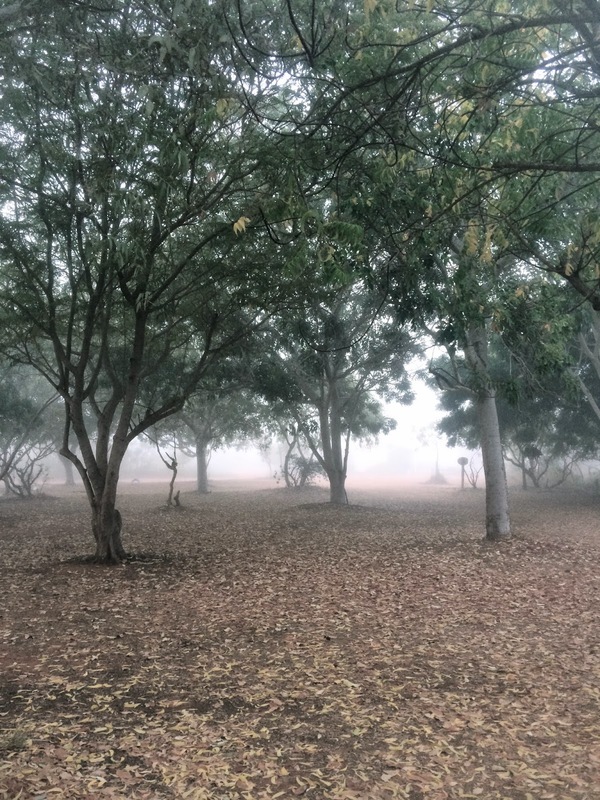 A Parenting Life: Back to Broome. The day got off to a rather unusual start as when we awoke we were greeted with bit of foggy mist. Having had limited experience with such weather phenomena I am not sure whether to call it fog or mist. Either way it was kinda cool not being able to see more than ten feet in front of ourselves. Sadly though it didn’t hang around for too long. Which was probably actually a bit of a blessing because we had an early start on the road today. Originally we had only planned to stay here at Barn Hill for a week. We had enough food to stay a week here, two nights at 80 Mile Beach and then two more at a free camp on the way to Port Hedland. Only we like it so much we just don’t want to leave. As we watched some other residents head into Broome yesterday to restock their supplies we realised there was no reason why we couldn’t do the same which would then enable us to stay here a bit longer. So today that is exactly what we did. Headed back to Broome for a bit of shopping and some lunch. A day or two before we left last time we came across a particularly awesome butcher. His meat was all organic grass fed and came cryovacced which meant it lasted for a month. It is also very reasonably priced. Unfortunately for us we discovered his awesomeness right after we had filled up the fridge so we were limited on how much we could get. Of course that fridge is now relatively empty and I am just a bit excited to be able to fill it up with just good meat. I am also a bit excited about having lunch at Matso Brewery. When we were staying in Broome I ran past it a few times and thought how nice it would be to actually go there but for whatever reason we never made it. 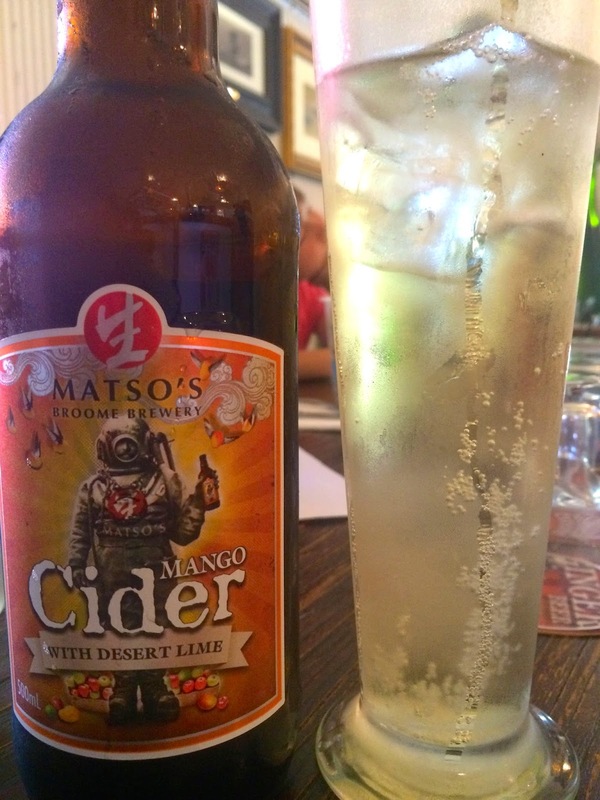 Matso’s did not disappoint and their food was as good as their beer and cider. I was particularly proud of myself because the caesar salad with prawns I ordered was brought out without any prawns and I spoke up about it. There was a time when I would have just let it slide because I don’t like to cause a fuss but I really wanted prawns. They were mighty tasty so I am super glad I spoke up. Of course I did momentarily beat myself up about it all because the waitress told me what a bad day she was having. And while she might not have said I made it worse I naturally took it as being implied. In between beating myself up about adding to her woes I wondered what it was that actually lead me to such thought processes. Such complex beings we humans are.